For those who don’t already know, I love tea. I always have my mug with me wherever I go. And while I try to stay away from sugar as much as possible, there’s one drink I have a hard time resisting anytime I’m out for Thai food – Thai tea! It is made from black tea and often flavored with spices like star anise and tamarind. It is then topped with a creamy element, like coconut milk, half and half or sweetened condensed milk. Learn how to make it in this Thai Tea Recipe by the White On Rice Couple. Thai tea looks as great as it tastes. The cream served over the tea creates a gorgeous layered look. 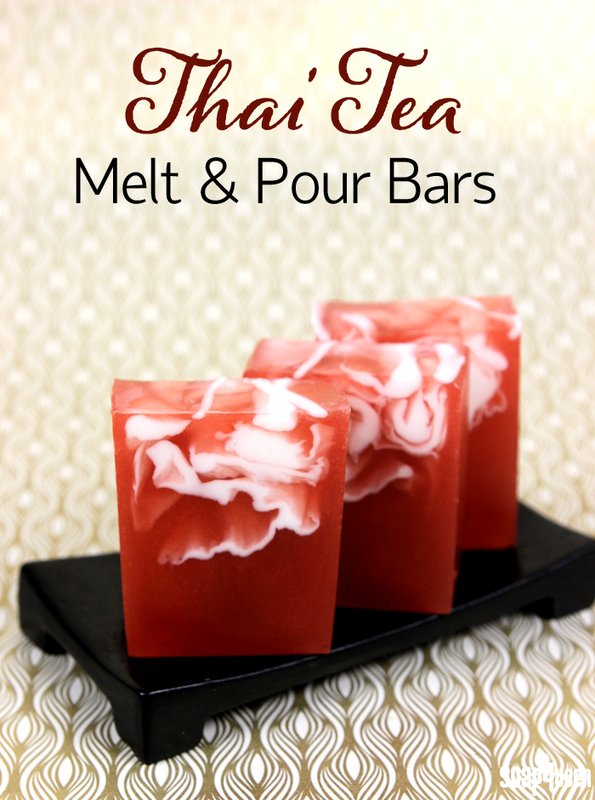 That was the inspiration for the Thai Tea Melt and Pour Bars Tutorial. A melt and pour swirl technique is used to mimic the cream poured into the tea, which gets its signature bronzey-orange color from the Shimmer Copper Sparkle Color Block, the Tangerine Wow! Color Block and the Perfect Red Color Block. 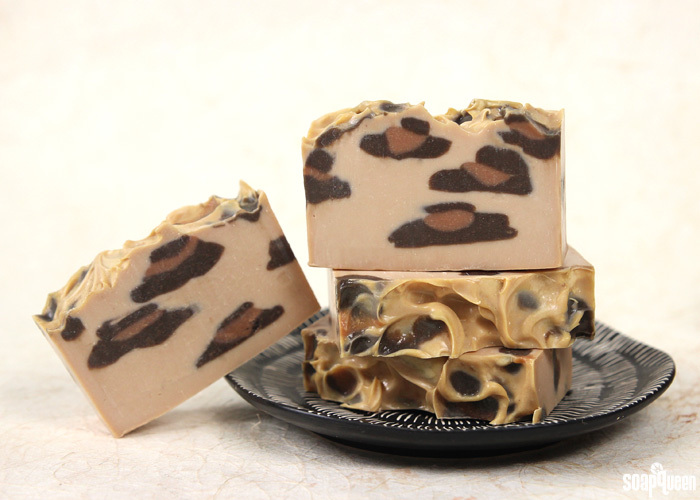 For a realistic Thai tea smell, Black Tea Fragrance Oil, Burnt Sugar Fragrance Oil and Coconut Cream Fragrance Oil are added. It’s a perfect way to enjoy Thai tea guilt free.